Its never easy saying good bye to those that you love - or those people that come into your life and just fill you with happiness... whethers its illness or accident, saying good bye is difficult. A family friend was killed on Thursday evening, and though we didn't see him all that often, the memories we have are unforgetable! I knew I needed to get those butterflies back out. I also thought I needed some help with colors. I used the sketch challenge from Stamp-A-Holics which was great and provided me with getting a card out fast and easy. 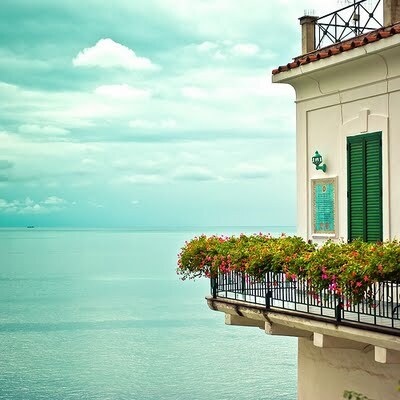 Using the Just Add Ink Inspiration photo- gave me great colors to work with as well... and boy I did drift off alittle daydreaming of being there on the balcony with some wine and looking out into the landscape! ... wow! I am not sure if this will be the card the widow gets, however I know that its soft enough to say all the things that it needs to say. Though, I was reminded that she loved PURPLE... so there still is time for a card remake! What a pretty card! I love what you did with those butterflies! Into my inspiration file it goes! 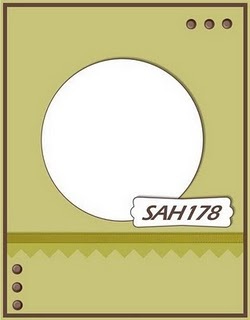 The card is great and the scene you posted is marvelous. so sorry to hear about your friend. 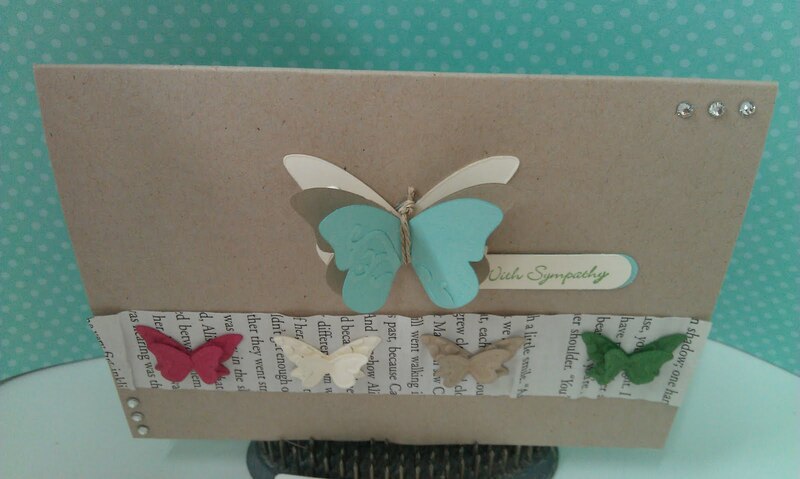 This is a beautiful sympathy card, love the dimension on the butterflies. Sorry to hear of your loss. 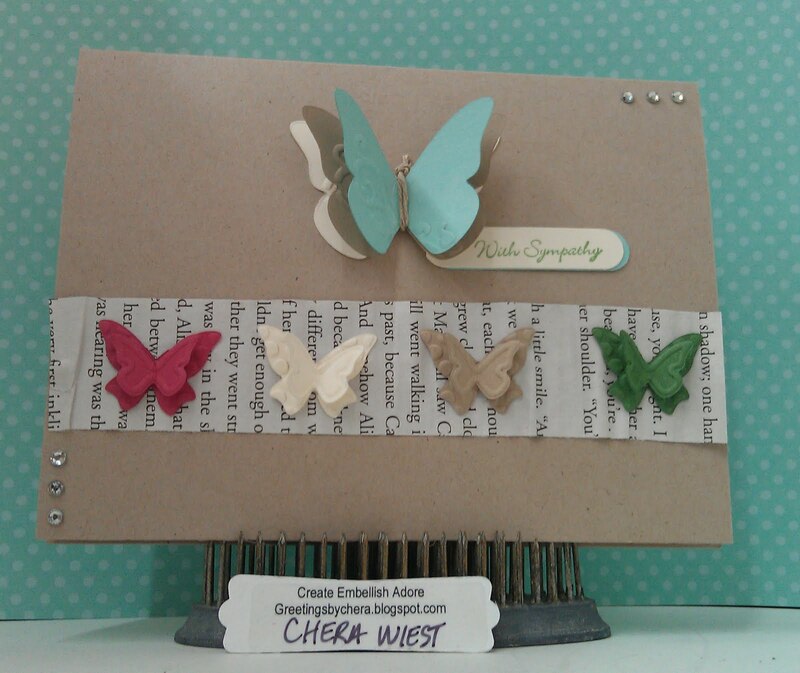 Its a beautiful sympathy card Chera. Lovely card Chera for a difficult time. You have captured the same feeling of peace from the photo. Thanks for playing at Just Add Ink. I'm sorry to hear about your friend. Your card should bring comfort to your friend's family. Thanks for playing along with the Stamp-a-holics this week.